Barbie® doll as Goldie Hawn pays tribute to a beloved star from the classic and controversial variety show, Rowan & Martin’s Laugh-In. This doll wears a checkered bikini inspired by one famously worn by Goldie the go-go dancer in “The Mod, Mod World” segment. The wacky body paintings, also part of Goldie’s costume, are re-created in great detail. 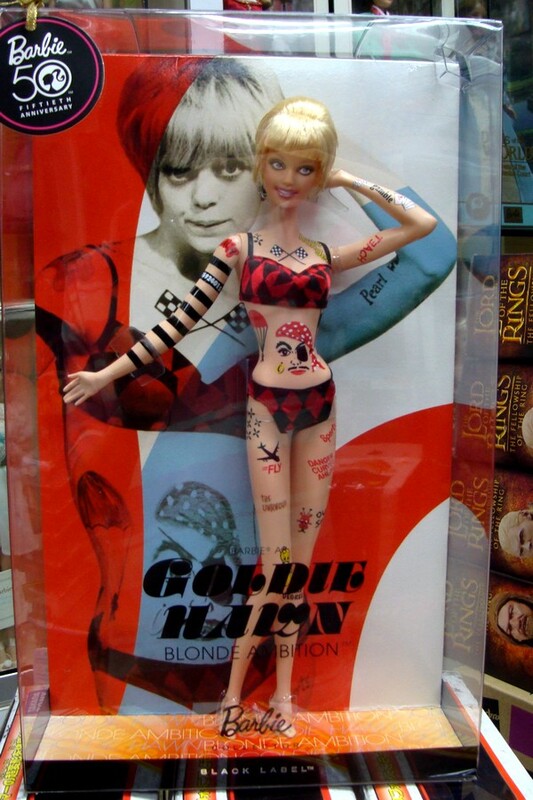 Barbie® doll as Goldie Hawn joins the Blonde Ambition™ Collection, a series celebrating the blondes we love and admire! Designed by Sharon Zuckerman. This Goldie Hawn barbie doll is available now at Toywiz Malaysia and selling at RM189.90.